When you’ve been in an auto accident, the force of the acceleration and deceleration can cause harmful effects on your body. At Louisiana Chiropractic, Dr. Dane is well-versed in treating people who have been in car crashes. As a chiropractor, Dr. Dane is a health care professional that understands that though you may not have broken bones, you can still have an injury in the body’s soft tissue that can affect you for years to come. With digital X-ray facilities on site, we can gain a deep understanding of your state of health. In addition to chiropractic care, we offer massage therapy on-site that may help you. Therapeutic modalities such as electric simulation are also available, and as you heal, Dr. Dane may recommend traction, spinal decompression and therapeutic exercise. We work with insurance companies, so please bring your insurance information, the third part’s information if applicable and your Personal Injury Protection (PIP) policy. If you’re working with an attorney, please let us know, and we can work with letters of protection. 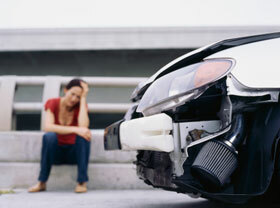 Contact us today to schedule your appointment for auto accident in West Baton Rouge! We offer same-day visits for those who require immediate attention.